Courtesy of Bay One Real Estate Investment Corporation, Linda Xu. Elegant Tuscan home in prestigious Glen Una Neighborhood; Designed by architect Chris Spaulding & built in 2000 by Conrado Home Builders; situated on a flat lot a little under one acre. 4 bedrooms & 4.5 bathrooms, 5,524 sf living space per City; exquisite Santos Mahogany floors throughout the first floor; formal library featuring old world craftsmanship, great room with vaulted ceiling, kitchen of Alder cabinets, stainless appliances & granite counter tops, expansive living room, and intimate formal dining room; brand new spa-like remodeled master bath; a Pebble Tec lap pool anchors the park-like grounds in the backyard; award winning Saratoga schools! 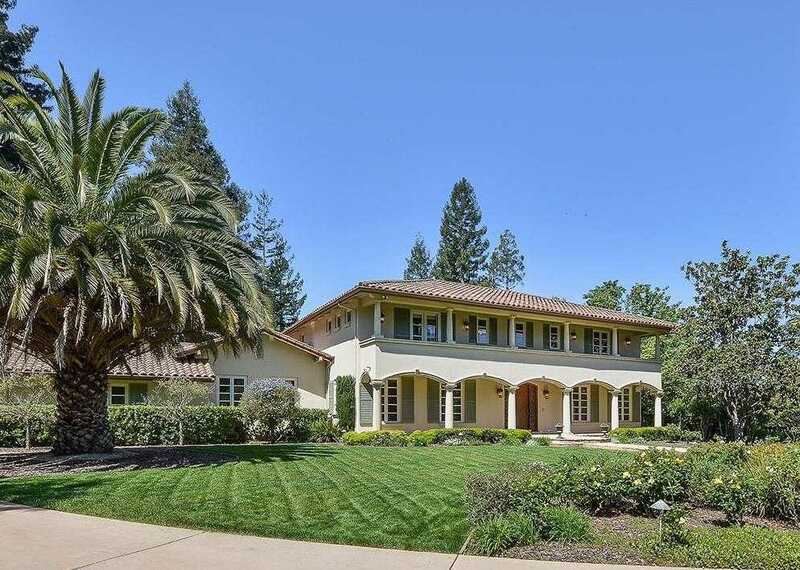 Please, send me more information on this property: MLS# ML81746039 – $5,988,000 – 15427 Hume Dr, Saratoga, CA 95070. I would like to schedule a showing appointment for this property: MLS# ML81746039 – $5,988,000 – 15427 Hume Dr, Saratoga, CA 95070.